“It is a fairytale pop album, performed by chamber musicians. It is to make you happy. And it is ABOUT LOVE” – with this tagline to accompany the online premiere of the album, it might not be readily apparent to even a sophisticated listener that the set list was, essentially, an exercise in classical music composition. 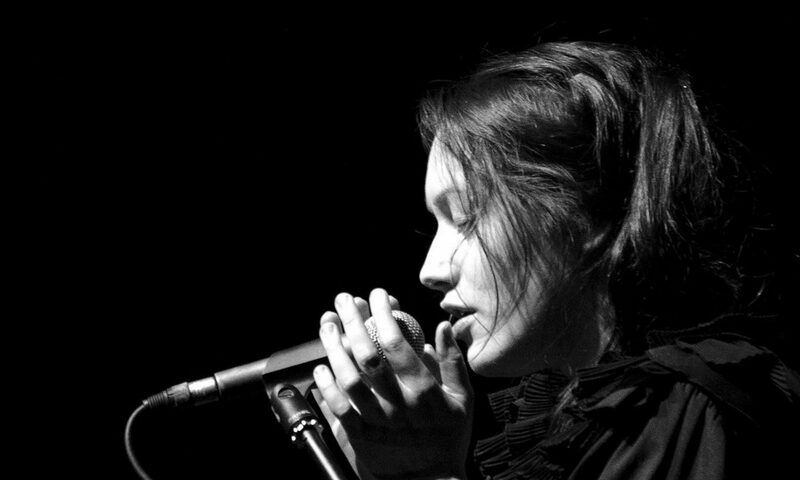 The whole score was written out in detail by Alisa and then performed by classically trained, but extremely versatile, musicians in the way that allowed to reduce the production and postproduction to bare minimum, making the raw, transparent and vulnerable sound the main character of the album. The album was recorded on a shoestring budget of $700, in Boston on 15-16 May 2012, in collaboration with stellar international musicians team, including sound engineer Jett Galindo, who later mixed and mastered the album. “About Love” was released online in January 2014, however, it was never physically published or performed live. Alisa Apreleva (Russia/USA): author (except (4)), producer; vocals (1-9), piano (6-8), accordion (1, 3-5), flute & clave (6). Andrés Marín (Costa Rica): drums (1-9), clave (6). Anastasia Dumma (Russia): guitar (1-3, 5, 9). Alexander Trampas (Greece): acoustic bass (1-9). Kai Sandoval (USA): trumpet (1, 3-7). Yuri Levinson (USA): clarinet (1, 2, 4, 9). Raquel Kober (USA): cello (1, 4, 6, 7, 9). Peter Breykin (USA): piano (9). Layth Sidiq (Jordan): violin (9). Jett Galindo (Philippines): sound engineer (1-9) & background vocals (6). Recorded at The Record Co. (Boston, USA) in May 2012. Mixed at Avatar studios (New York, USA) in April 2013, very special thanks to Jerry Barnes.